Improving STEM education (Science, Technology, Engineering, and Mathematics) has become a key priority of many educators across America. Most educators agree these four fields will have the greatest impact on future career opportunities for today’s youth. Many also believe these subjects will greatly impact America’s ability to compete in future global markets. For these reasons, a number of significant grants have been created to help improve STEM education. 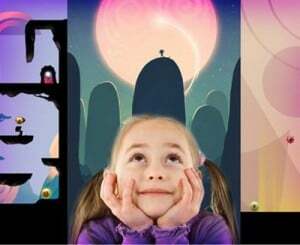 Recently, a major initiative for improving STEM education has included a push toward teaching game development to youth. People of all ages are fascinated by video games. Incorporating game-making and/or animation-making in the classroom or as an after-school activity is a successful way to teach programming and other STEM (Science, Technology, Engineering, and Math) content. How is video game-making or animation-making an educational activity? Video game and digital animation correspond to a number of national STEM standards. STEM standards can be incorporated by having students create games that focus on science concepts like ecosystems, or that incorporate physical principles like gravity and friction. Educators are struggling with the motivating students to study these complex subjects – subjects which often can be intimidating to both students and teachers. Students often struggle to grasp intangible concepts when they lack a means of experiencing how these topics are useful in the real world. Furthermore, many schools are scrambling to find qualified teachers for STEM subjects at a time when qualified humanities teachers sit on extremely long waiting lists. Educators have discovered they can offer both improved motivation and accessibility to STEM skills by teaching game design and development. First of all, the creative aspects of game design make this topic feel more accessible to those who are otherwise intimidated by technical subjects. Furthermore, since video game development requires a strong grasp of math, logic, and technology, it provides an opportunity for students to learn these topics by applying them directly to the games they’re creating. The curriculum standards were split into two areas of study – those under the banner of Information Technology and those under the banner of the Arts. Still, video game design studies both the art and science of game development. We worked hard to ensure the standards would be clear, instructive, and open-ended enough that teachers can easily align them to their own state grade level standards. Game development requires a diverse workforce of talented people with a broad range of technical skills. Teaching game development requires someone having a firm grasp of all aspects of game development while still having the patience, creativity, and communication skills necessary to teach the skills to children of all ages. The next step is to find ways to help educators who will teach these subjects. That, in and of itself, is a challenge. Game Development education is becoming increasingly important to improving STEM education amongst America’s youth. The endeavors mentioned here are just the first steps we’re seeing in one state. With the continued support of many organizations like Video Game Palooza, this trend in education is likely to continue spreading to other states. For those of us in game development, this means graduates who have a deeper understanding and appreciation for both games and game development can break through to the education world. Just imagine what games this next generation will be able to create. We are very excited for the future of game development and what it can do for STEM learning!